When you get married in Italy you’ll create your own unique vibe in the land of la dolce vita. From the easy-going elegance of timeless Tuscany to the stunning seascapes of the Amalfi coast, the question isn’t why you should get married in Italy but where to do it. Our destination wedding guide is designed to make creating your own bespoke Italian wedding molto facile! Virtually everywhere you go in Italy could be the ideal location for your Italian wedding with landscapes as memorable as they’re Instagrammable. Your choice of wedding venue is a reflection of your wedding style – boho couples will love Amalfi with its unspoiled coastline and relaxed Southern Italian vibe while romantic couples will head north to the Lakes for a breathtaking backdrop to their vows. With wedding trends heading towards events that are more informal and personalised, where better to get wed than in laid-back Tuscany or casually glamorous Sicily? Italy is easily accessible from the UK by road, air or even train via Eurostar. Choose a wedding venue with accommodation that allows friends and family to celebrate together over a long weekend and you’ll create a destination wedding to remember. A villa venue combines the convenience of a central location with a choice of spectacular venues for the ceremony itself. There’s a huge choice meaning you can find a fabulous venue for any budget. There’s a very different vibe between the sophisticated North and the sun-drenched South so do your research and sort out any legal paperwork well beforehand. 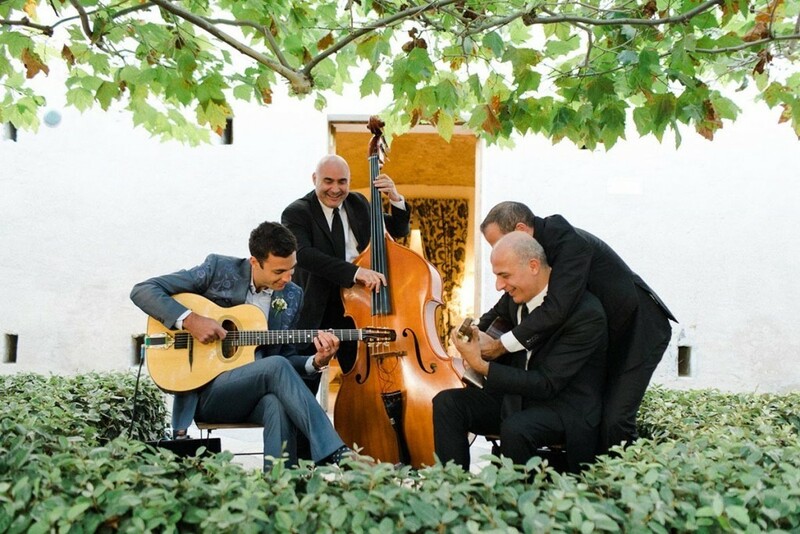 Tuscany remains one of the most iconic wedding destinations in the world. Gorgeous landscapes, exceptional food and wine and a relaxed ambience make this a timeless place to tie the knot. 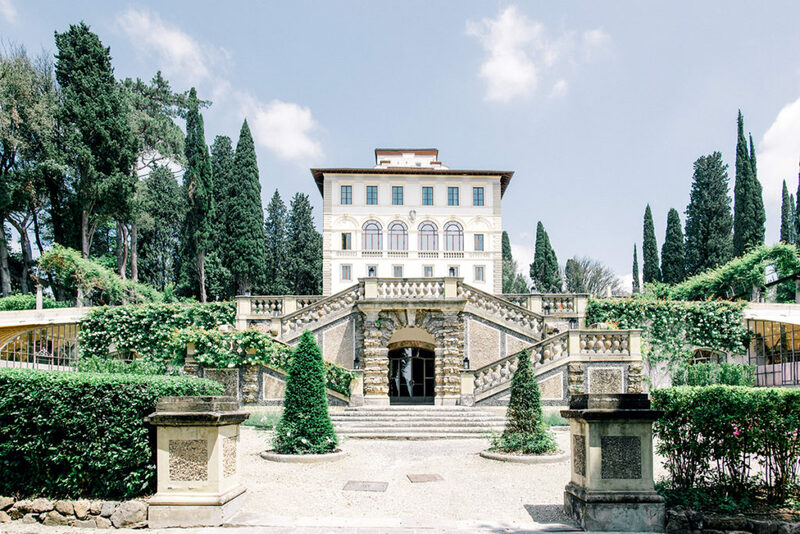 Villa le Fontanelle has breathtaking views over Florence, creating the perfect ambiance for your day. If you want to enjoy the beauty and romance of the Italian Lakes head for the more romantic Lake Garda rather than better known, and more expensive, Como. Try an outdoor wedding in the Scaliger Castle that rises above the lakeshore village of Malcesine. The panoramic views create an unforgettable setting for your vows. Amalfi, with its jaw-dropping landscapes and crystal-clear waters, is the up and coming choice for a destination wedding. The seafood is the best in Italy and the faded grandeur of the towns that cluster on the coastline of this UNESCO World Heritage site must be seen to be believed. Positano is known for its pastel houses that tumble into the sea but the Villa Oliviero, perched high on a cliff overlooking the coast, is the perfect setting for an intimate and memorable wedding. If you’re on a budget, try tiny neighbouring Praiano for memorable beaches and a more romantic vibe. For a real Italian wedding, against dramatic backdrops from Mount Etna to the sea, Sicily has it all. For Italian culture with an exotic twist, this island with its golden light is ideal for those all-important photos. Try Serenita for its blend of rustic simplicity, panoramic backdrops and spa luxury. Italy is the cradle of European civilisation, yet a country that wears its history lightly. Alongside the world-class museums and UNESCO world heritage sites, you’ll be welcomed by warm and hospitable people who are passionate about their food and wine and living la dolce vita. Enjoy some of the world’s great red wines in Tuscany and superb shellfish spritzed with the local lemons in Amalfi. Sicily is renowned for its iconic pasta dishes and desserts while freshwater fish, mountain cheeses and rich risottos characterise the cuisine of the Lakes. When you’re planning your Italian destination wedding you’ll want to avoid the height of summer when it can be unbearably hot and overcrowded. Opt instead for the milder heat of spring and early summer in the Lakes, or the crisp days of autumn in Tuscany when you can enjoy the warmth and welcome of the real Italy. Head south to Amalfi and Sicily for endless summers – perfect for that al fresco wedding. Anyone can get married in Italy and there are no residency requirements. You’ll need to prove your identity and to have a copy of the Nulla Osta that shows there’s no legal impediment to your marriage. For more information, try this planning tool from Gov.UK. You can choose either a civil ceremony at your chosen venue or a Catholic ceremony in a local church. Wherever you wed in Italy, you have the rest of this fabulous country to explore. If you’re on the Amalfi coast, don’t miss the stunning clifftop drive to iconic Naples. Try island hopping to exquisite Elba, capricious Capri or stunning Sardinia or take a trip from the Lakes to the fashion powerhouse of Milan or the otherworldliness of Venice. Whether you want to experience the laid-back scicosso (elegant chic) of the north or the picturesque beauty of the south, there are endless ideal honeymoon destinations when you tie the knot in Italy. Matthew Oliver Weddings specialise in luxury destination weddings across Italy, with a network of local suppliers to help create your dream destination wedding. Contact us today to start the journey to your perfect wedding in Italy.